On 5 October 1983 the Nobel Committee awarded the Nobel Peace Prize to Lech Walesa in recognition of his activity for freedom and democracy in Poland. During the gala in Oslo on 10 December, the honour was received by Danuta, wife of the Solidarity leader, and their son Bogdan. In the justification for their decision, the Nobel Committee wrote that Walesa’s ‘campaign for workers’ rights was from the very beginning a contribution to the general campaign for human rights in the world’. Moreover, it was emphasized that the Solidarity leader was faithful to the ideal of non-violent measures in problem solving. 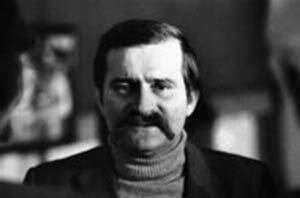 The news of having received the Nobel Peace Prize reached Walesa on the night of 5 October – he was told so on the phone by his colleague from the Free Trade Unions Krzysztof Wyszkowski. Walesa, however, did not treat that information seriously. He finally believed it was true when on the day following the decision Western journalists flocked to his block of flats and the German radio gave the official news of him having been awarded the Prize. The Polish radio first informed about it in the afternoon. The Committee regarded Walesa as expression of longing for freedom and peace.  ‘In the world we live in it is shockingly clear that détente and the peaceful resolution of conflicts is more necessary than ever before. (…) It is in any case certain that Lech Walesa’s efforts have an important message for our times. It is the Committee’s opinion that he stands as an inspiration and a shining example to all those who, under different conditions, fight for freedom and humanity’, was how the Nobel Committee accounted for their choice. Throughout the day quite a number of people gathered in front of Walesa’s block of flats and this made him address them from his window. ‘This is the Prize for all of us, appreciation for all those of us who want to reach the truth with peaceful measures, through negotiating’’, said Walesa adding that he took the honour as a gesture addressed not only to all Poland’s working class which he represented, but also to all Polish society, since ‘workers do not act in a void’. The Communist regime in Poland was really concerned having heard the news of the Peace Prize. The authorities had expected this honour a year earlier, however then they had fabricated documents, delivered e.g. to the Norwegian Embassy in Warsaw and meant to prove the alleged collaboration of the Solidarity leader with Poland’s secret service.